Demolition is the process which must be done under the supervision of the experts and experienced demolishers. Demolition is a step by step process in which each part is torn down and cleared from the site one by one in a systematic manner that is not known to us. So, to complete process quickly, we have to make sure to hire the professional demolishers only. Yes, it is very important to inform your neighbors about the demolition prior to the commencing of the process, so that they will take all the necessary precautions to make sure that their house is safe and guarded during the process. It is very important to get the permits for the whole process as there would be need of heavy equipment, so, it is highly important to make sure that the whole process is done once you get the permit from the government. Asbestos is a dangerous toxic that need to be removed from the site with utmost care and also must be done using the tools and other equipment suggested by the contractor. 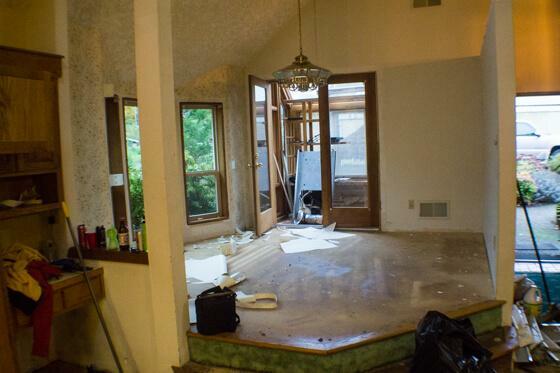 This removal process must be done under the supervision of an experienced team of demolishers who make sure to provide the wide range of demolition services. It is very essential to stripout your wall completely during the demolition services, because when you have decided to remodel your house, you have to bring down the walls completely, so it is very important to stripout your house and make sure that your house walls doesn’t consist of any of the wires and electrical linings in it. The Demolisher working on the site is fully experienced and skilled in dealing with the wide range of demolition services provided in the site. They are well trained and have the experience in dealing with the wide range of demolition services. He will also advise you about the various materials available in the site which can be recycled or reused. From the demolition site, make sure to collect all the items that can be reused in your newly constructed house. These are the few important tips that everyone has to follow before and during the demolition process. Make sure to follow these and also make sure select the experienced and fully insured house demolition company for your house demolition.